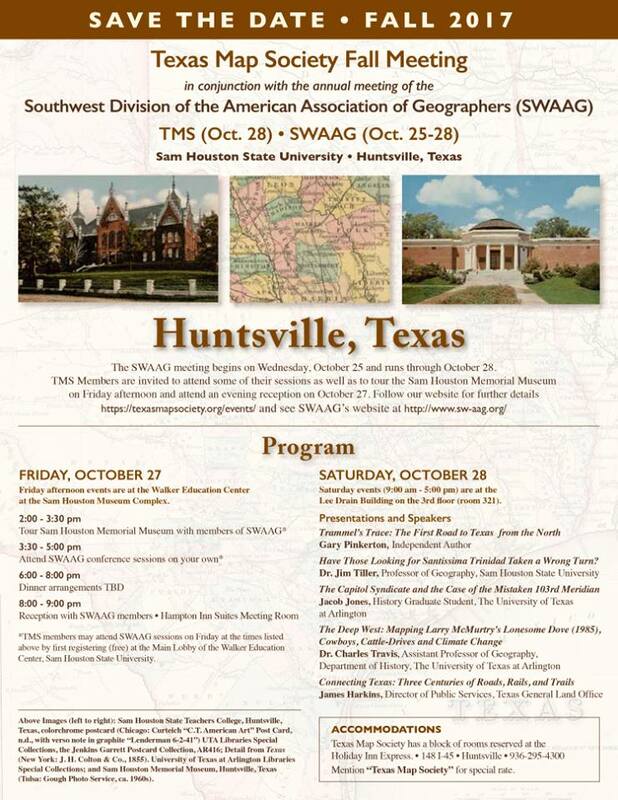 The Texas Map Society supports and promotes map collecting, cartography, and the study of cartographic history. My presentation will focus on the maps used in the research of my book on Trammel's Trace. My presentation will be Saturday, the 28th, at 9:00am, but the program is a full day of interesting topics.